Succulent Italian pigeon prepared two ways; the breast is slow cooked in olive oil. The thighs and wings are pan-seared and then roasted. 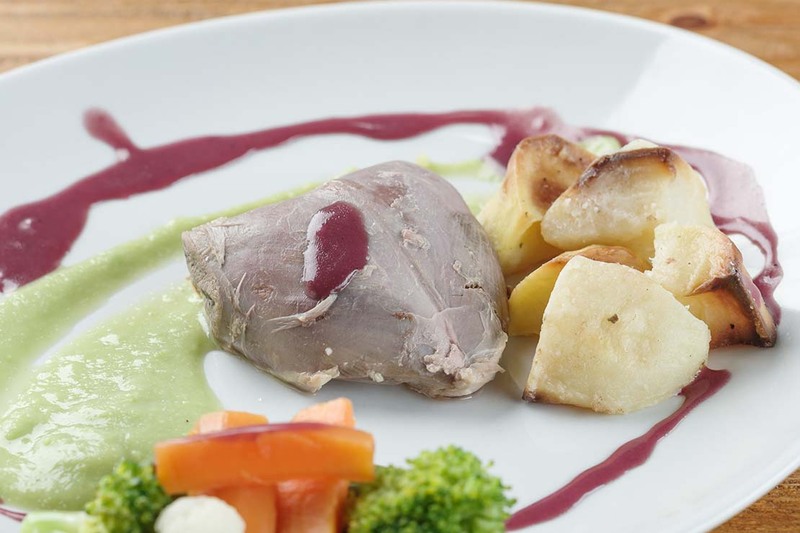 We serve the bird with a creamy fava bean-potato pureé and a Dolcetto wine reduction.